Daphne is six years old. She was diagnosed with Generalized Anxiety Disorder when she was four. 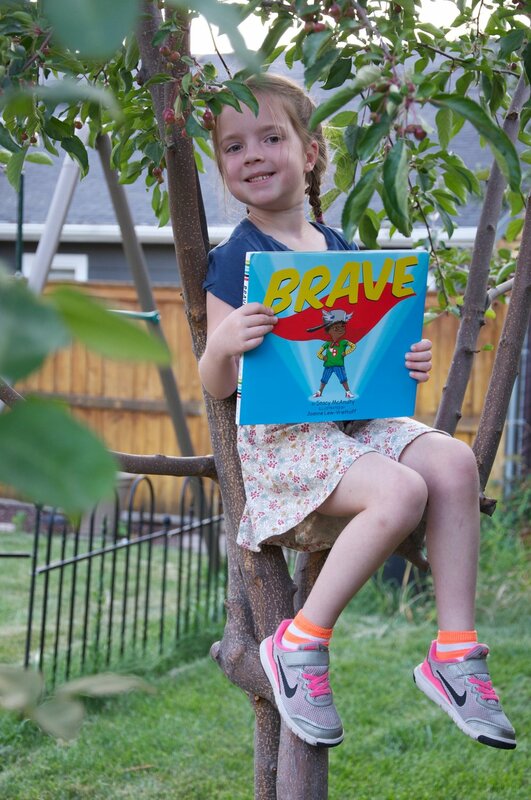 We spend a lot of time talking about and practicing being brave at our house. We recently went to Yellowstone National Park as a family. Daphne was very nervous about going. She was afraid to see a bear and afraid to stand on a volcano. She wanted to stay home. Eventually, after reading some books about Yellowstone, she was able to think about all the interesting and different qualities of the animals we might see, and she put her fears behind her. She was brave, came on the trip and had so much fun. (We even saw two bears, from our car, and it wasn't scary). Way to go, Daphne! (And Mom!) I'm glad she got to enjoy the majesty of Yellowstone.